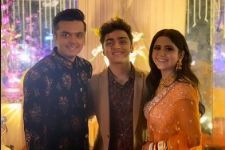 We have been keeping you updated about Palak Jain and Tapasvi Mehta's pre-wedding festivities since the duo announced their marriage. 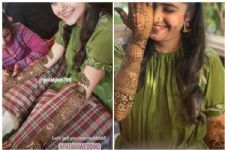 From her mehendi to haldi, the bride-to-be looked radiant in her attires and we couldn't wait to see the duo exchange their marriage vows. Last night, the lovebirds tied the knot in Indore amidst close friends and family and it was a sight to behold. The bride looked impeccable in her red bridal avatar while Tapasvi looked regal in the sherwani. 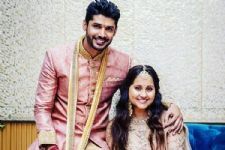 The marriage was attended by close friends Kunal Jaisingh and Bharti Kumari, who also tied the knot recently. 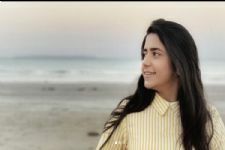 Palak will be seen in ALT Balaji's web-series Kehne Ko Humsafar Hain 2, has been dating actor Tapasvi Mehta since a long time and the couple finally took their relationship to the next level by getting married last night. 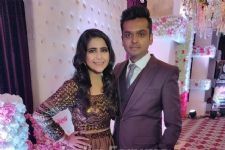 [PICS] Pre-wedding festivities have started for Palak Jain and Tapasvi Mehta! Telly stars are getting married one after another... Check out their wedding photos and more on Lopscoop. Download Lopscoop App on Google Playstore. This 'Ek Duje Ke Vaaste' actress to get MARRIED in February!